In this step, you will map the parameters you created earlier to the program variable names that you will use in the program that implements this web service. a. Click on the Mapping tab. 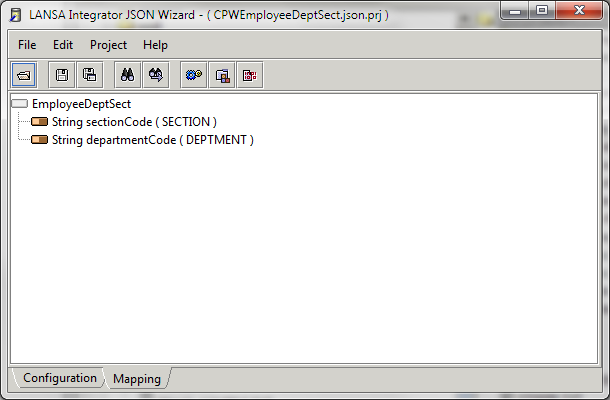 b.Select and right click on the EmployeeDeptSect to open the context menu. d.Click on sectionCode. Select Field from the content menu and enter the corresponding program variable name, in this case SECTION, and click OK. Leave Format blank. 2. Repeat this procedure for the second parameter, departmentCode. 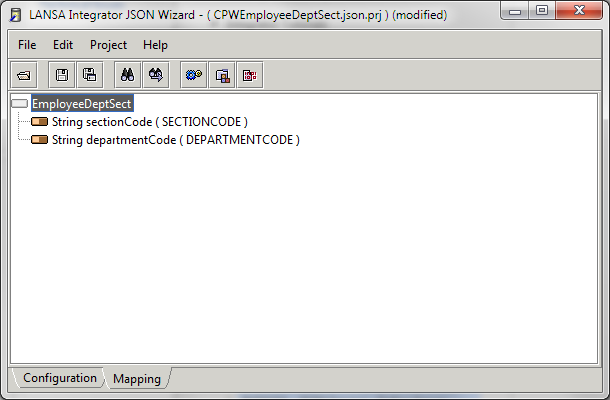 Select Field from the context menu and map to the program variable name DEPTMENT.